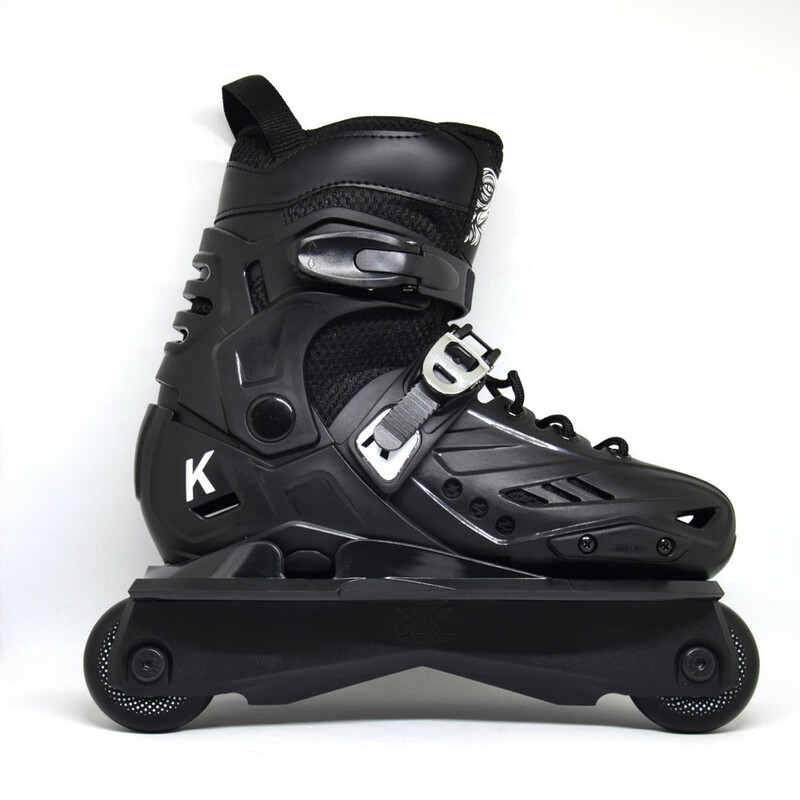 New junior skate by KALTIK, With Freestyle frame and spinner 60mm Wheels.The KALTIK Skate Junior are UFS and size adjustable. 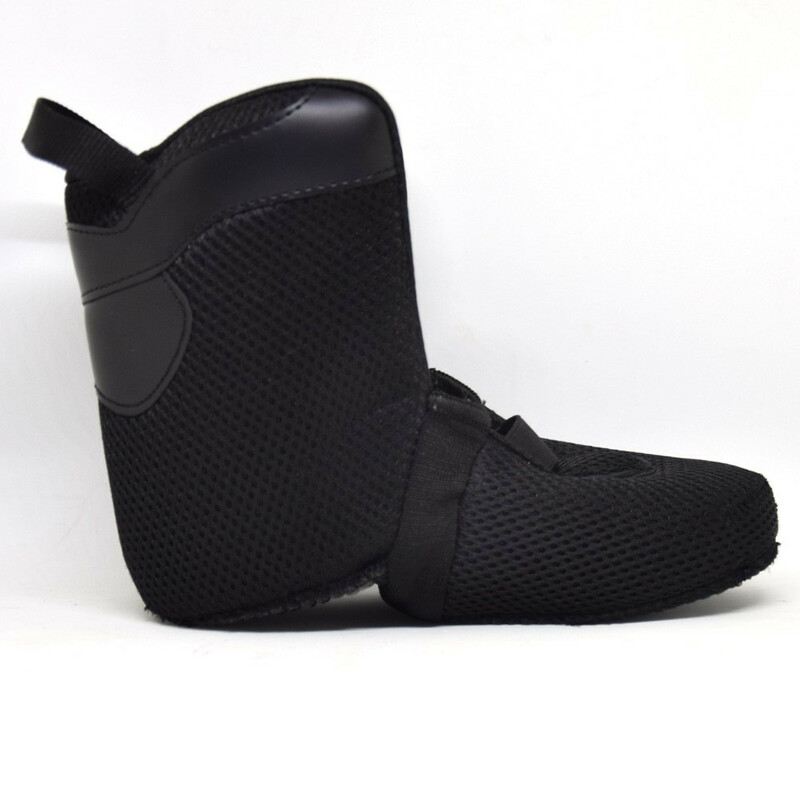 Kaltik, the Irish brand, offers us their first adjustable junior skate. 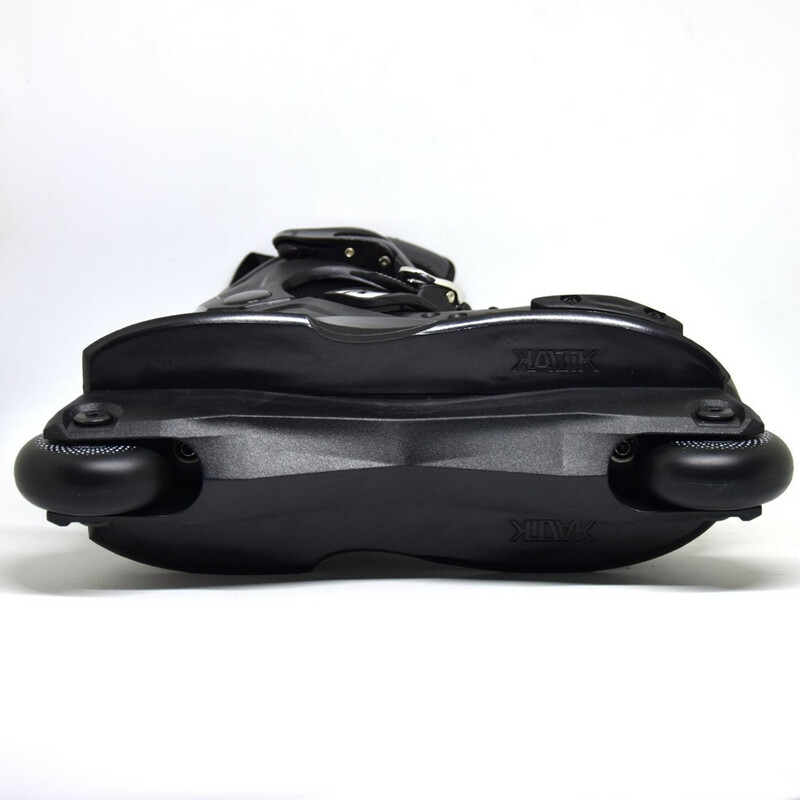 It is at the same time flexible, robust and not heavy at all. 1.1kg for one skate, enough for the kids to jump in the park. 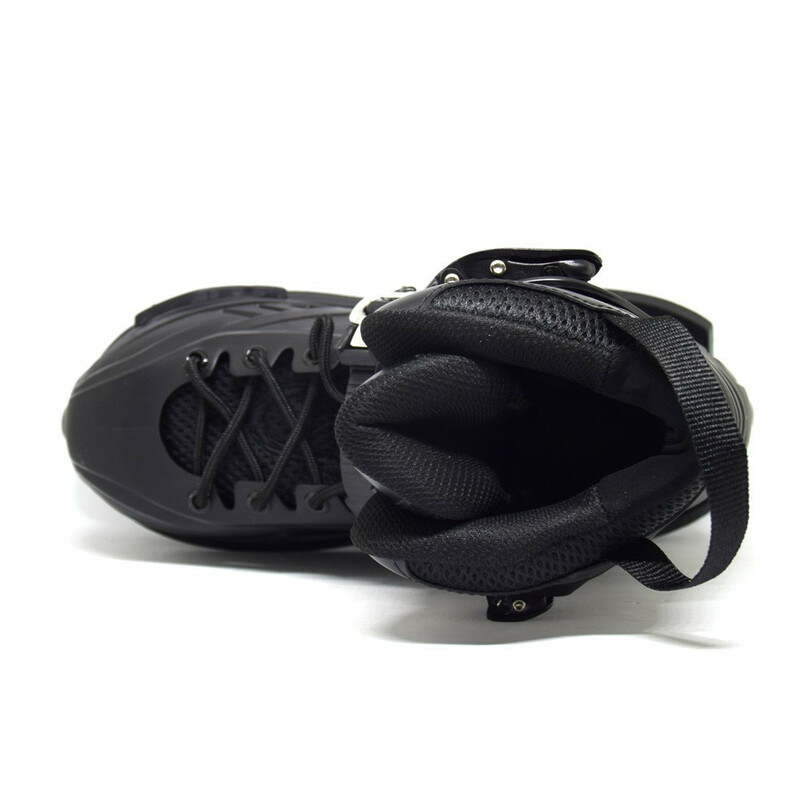 In addition, its size adjustment system does not make the nose of the skate more fragile or too flexible. The skate is almost 4 size and it must last in time. 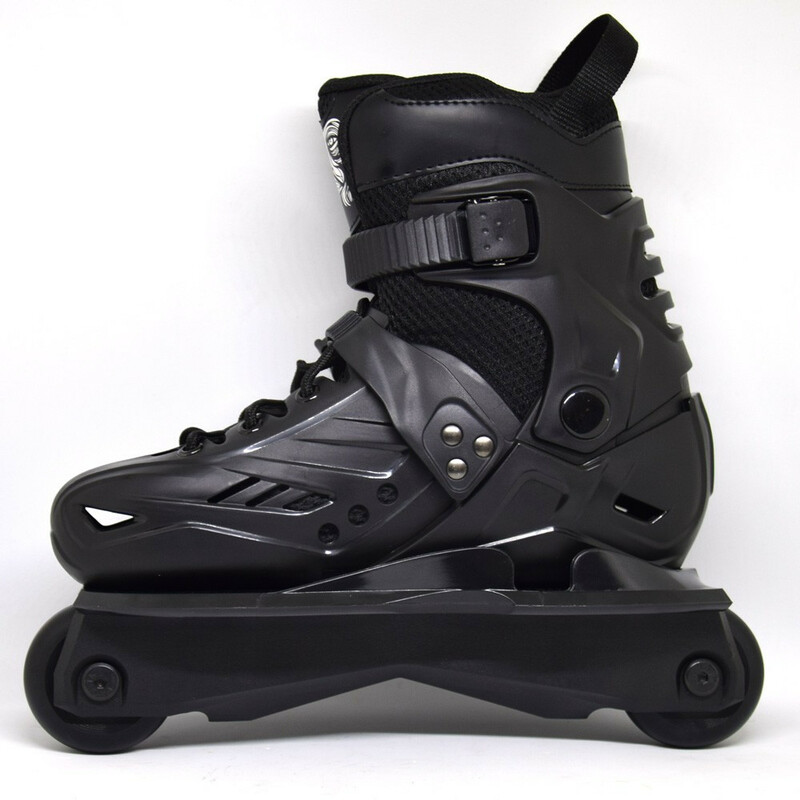 Finally the soulplate is interchangeable to increase the life of the skate. 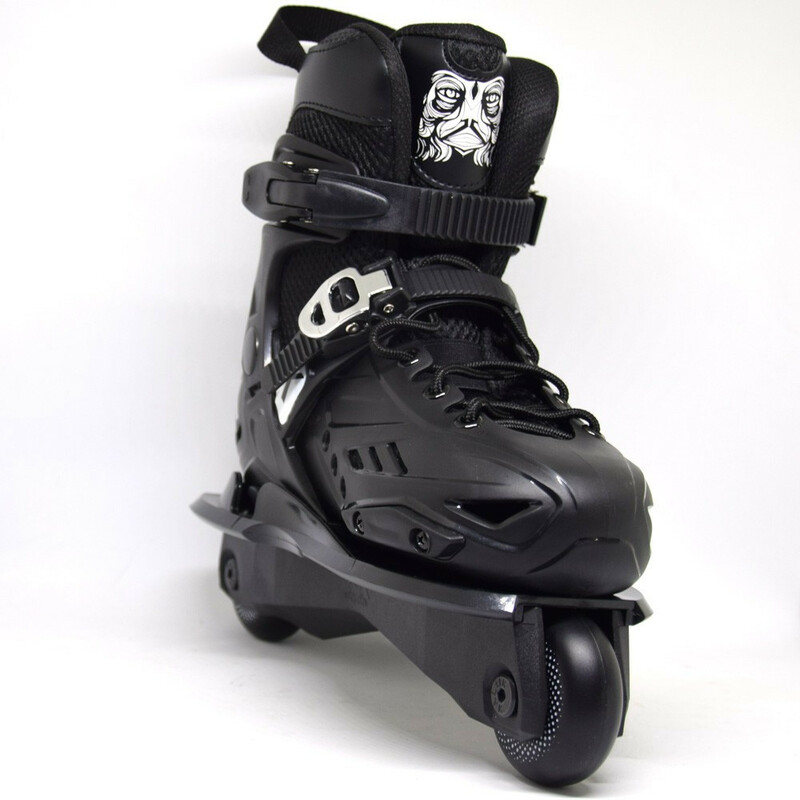 It is also equipped with 60mm wheels and a kaltik frame size S as adults. 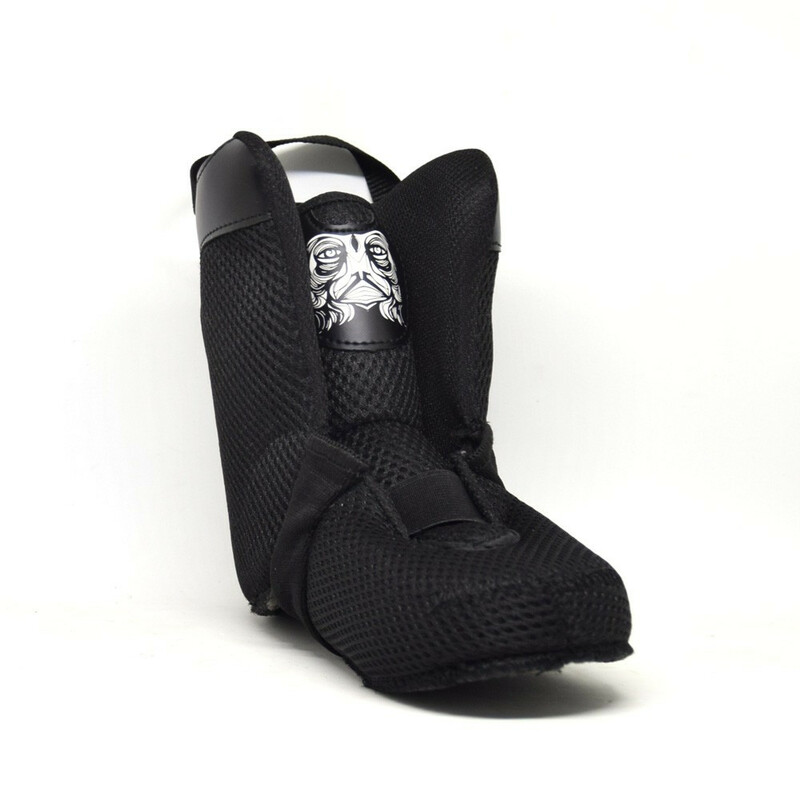 Again, all UFS frame are compatible on this boots.